If you're looking for a seasonal home on Sebago Lake, Frye Island could very well be the place for you. 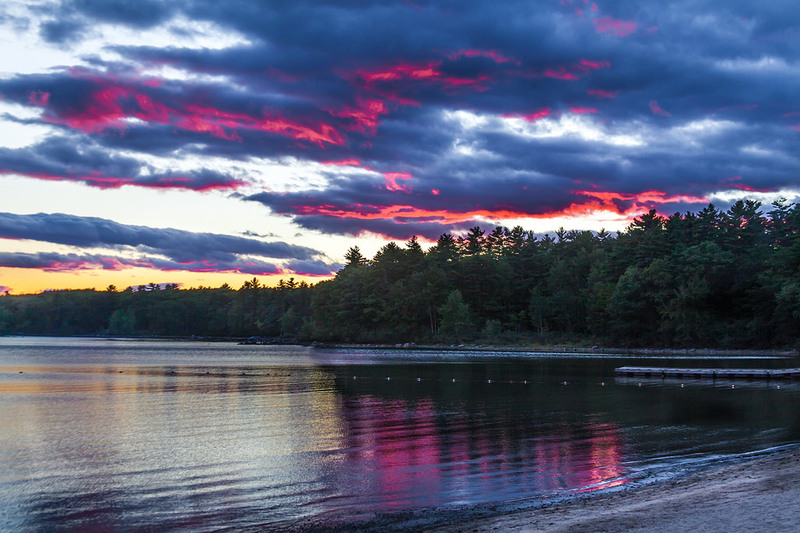 Frye Island, Maine is a resort-like Summer community in the middle of Sebago Lake and a 1,000 acre island. It is accessible through the town of Raymond by a ferry service and is open from the last week of April until the first week of November. Frye Island's wonderful environment is perfect for family get-aways in the summer. In late Fall and Winer, you will enjoy your year-round residence without feeling as if you are neglecting you vacation as you can't get there. When Spring arrives, and the island open, you’re once again excited to see your Summer home! Over 400 homes are nestled throughout the island. There are homes just along the shoreline, tucked into the woods, near a beautiful golf course, and much more. It offers owners and guests a variety of amenities - like sandy beaches, tennis courts, recreation fields, a community center, and more - in a peaceful and quiet environment. Come see why families from across the country have chosen Frye Island as their summer residence. The dirt roads, spacious wooded lots, unique homes, and unrivaled character make the island the perfect place for all ages, especially for those seeking a quiet hideaway. Search the latest real estate for sale on Frye Island, Maine. Contact us if you'd like to tour a listing or have questions. With over 25 years experience working and living on Frye Island, we would be glad to answer any questions you have. LOCATION, LOCATION, LOCATION! New home within a 5 minute walk to beaches 6, 7,& 8 (3 of the most popular beaches on the island). 3 bedroom home features many custom touches; including first floor post & beam construction, granite counter tops, stainless steel appliances and a stacked washer and dryer. Town conservation land abuts this property on the east side. Well sized Gambrel (1,512 sf) in a one back location, with seasonal water views. Large living room with vaulted ceiling ~ pine tongue & groove and skylights. Large kitchen. Sliders to combo deck and covered porch. Main floor master & full bath. Upper level has 2 bedrooms, bath and loft area used as the 4th bedroom. Three skylights. On a full foundation, walk out basement, garage and storage space with direct entry to the home. New hybrid hot water heater and standing seam metal roof in '16. Wheelchair accessible to main level. Mooring at Long Beach!!!!! And includes furnishings & golf cart. This quality built Hartman Builders Home will contain all the following features. First Floor has 900 square ft, open concept design, granite and fully applianced Stainless kitchen with cherry cabinets, a dining, living area w/ hardwood floors thru out! Over the living and dining areas is a beautiful vaulted ceiling. 1st floor master bedroom suite w/ HW floors and master bath. Second Floor features 600 square feet with HW floored bedrooms and a Jack and Jill bath! Full basement w/ concrete floor, utility area with a new W/D, family room, and garage storage area for all your tools and toys! The house will be fully air conditioned, front full front deck, screened rear porch and on demand hot water! Come see this quality family designed home soon if you are considering buying on Frye Island! If you are coming to Frye Island for fun why would you ever buy used with all the headaches when you can get everything new!